Celebrated by Emily Little, Michael Hughes, and Allen Ottman on March 21, 2018 by hiking up and viewing the river from the confluence with the Grande Ronde. 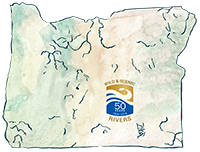 David Herasimtschuk: Descending through the remote rugged mountains of Northeast Oregon, the Wenaha River truly epitomizes its designation as wild and scenic. I feel fortunate to have been able to experience this hidden gem as part of the film crew for an Oregon Field Guide episode, following Tim Palmer and Zach Collier as they packrafted this remarkable river. 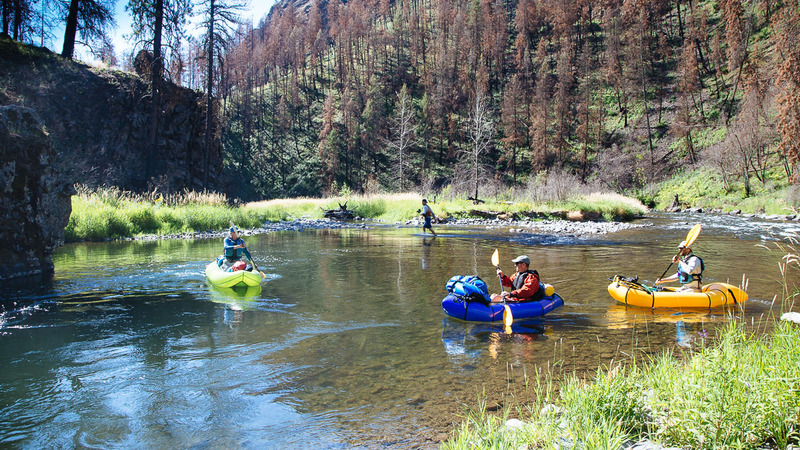 Snaking its way through the Wenaha-Tucannon Wilderness, the river cuts through basalt canyons and beautiful coniferous forests eventually meeting up with the Grande Ronde River. Experiencing this river from both above and below the waters surface was quite a treat. 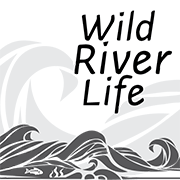 The rivers crystal clear waters were perfect for river snorkeling, allowing us to see schools of bull trout, migrating Chinook Salmon and an array of fascinating aquatic insects. 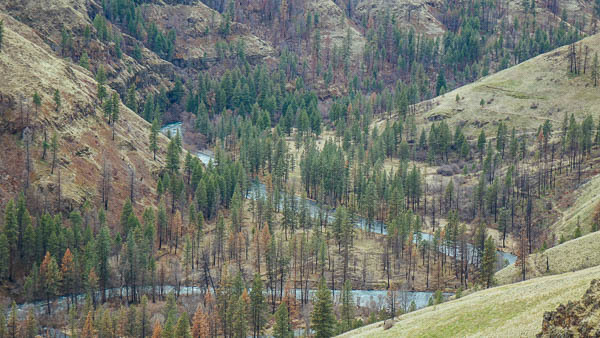 Emily Little: We ended our Grande Ronde trip at the confluence of the Wenaha River and decided to take a trip up the Wenaha valley. We were able to drive up a dirt road that paralled the river valley. Looking down on the Wenaha showed its incredible blue water and hillsides of ponderosa pine trees. I would love to gain access to this river a few miles upstream and paddle down. It looked like a great continuous river with mellow but fun rapids. 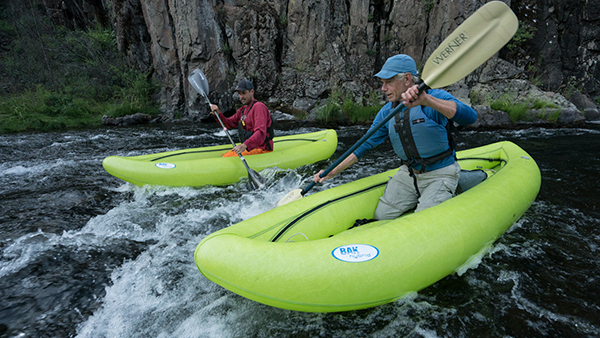 Tim Palmer: It was a real treat to be able to paddle on this incredibly wild little river that I had seen before only from the trail up its length. In 2016 we had 7 logjams that weren't much trouble on low flows in July. However, much of the area had burned, and I suspect that many more logs will be falling into the river and making paddling difficult. Time will tell. 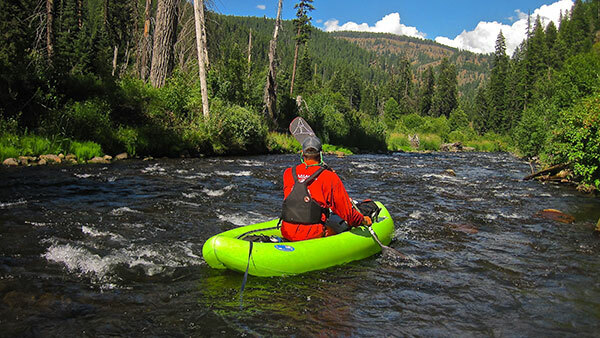 Zachary Collier: My friend Tim Palmer backpacked up the Wenaha River and told me about this beautiful river that had rarely been paddled because of five mile hike to the put-in. I was instantly excited. 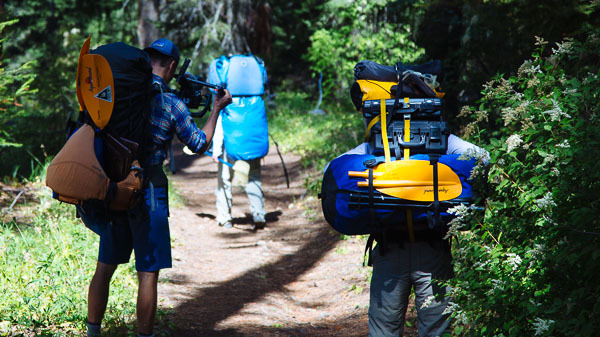 Tim talked to the producers of Oregon Field Guide about this trip too and they decied to film an episode of their award-winning show on the Wehana River in July of 2016. 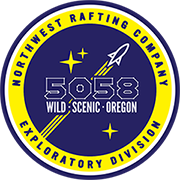 We began our trip by hiking 5 miles down the Elk Flat Trail to the South Fork of the Wenaha where we launched our boats on a trickle of water. The river was mosly Class II and III with a handful of logs to watch out for along the way. We were lucky spend a couple nights in the canyon to enjoy each other's company and this beautiful place. Jeremy Monroe and David Herasimtschuk from Freshwater Illustrated joined us and brought along underwater cameras as well as a couple sets of fins and snorkels. The highligh of the trip was observing the vide variety of insects and fish that thrive in this remote river.